The Digitech RP90 is part of the latest offerings in Digitech’s RP series of multi-effects processors for guitarists. Powered by the new AudioDNA2 processor, this pedal has Pickup Modeling/Wah, Compression, Amp Modeling/Distortion, EQ, A Noise Gate, Chorus, Flange, Phaser, A Harmonizer, A Digitech Whammy, Delay, Reverb, and more. Aside from an arsenal of models to choose from, the RP90 features tone and effect libraries allowing you to quickly program sounds with ease. The RP90 is like having a music store at your disposal. According to several user reviews of Digitech RP-90 Guitar Multi Effects, some users have praised it for the easy to edit the effects patches; good selection of effects; Responsive; Compact design. 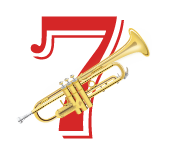 But some users also have complained for the Not durable; Poor sound quality. To restoring the factory settings of Digitech RP-90, first power on while simultaneously holding the Store button, and release it when “FR” appears in the display. Press and hold the Store button again for a few seconds until “RS” appears in the display and release. This calibration procedure is automatically entered after a factory reset procedure. First, hold the Up/Down Footswitches until “PC” appears in the display. When the display appears “td”, you must rock the Expression Pedal forward (toe down) and press either Footswitch. And when the display appears “hd”, you must rock the Expression Pedal back (heel down) and press either Footswitch. Finally, press and hold the Up/Down Footswitches until “Et” and then “PC” appears in the display and then release the footswitches at this time. Note: If calibration is successful, “CS” will appear briefly in the display and the RP90 will return to Performance mode. If the calibration procedure fails, “Er” will appear in the display followed by “td”. You should be repeat the procedure until calibration is successful. Warning! This procedure will erase all custom User presets. Be sure you want to returning the RP70 to its factory default state before continuing with this procedure. 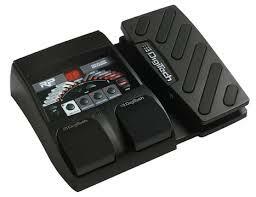 Hopefully the article of “Hard Reset: Digitech RP-90 Guitar Multi Effects” was useful. Thank-you, very much. I made the mistake of letting someone who had no idea how to adjust setting play around with the peddle. I was very frustrated, had no idea how to reset the peddle and i found this website extremlely useful. Thanks again, my peddle is back to normal.